Colors give meaning, purpose, personality, and character to a design project as well as in crafting a magnum opus. With a spectrum of different shades, tints, and hit of the natural light of colors, there are no limitations in your selection of color. 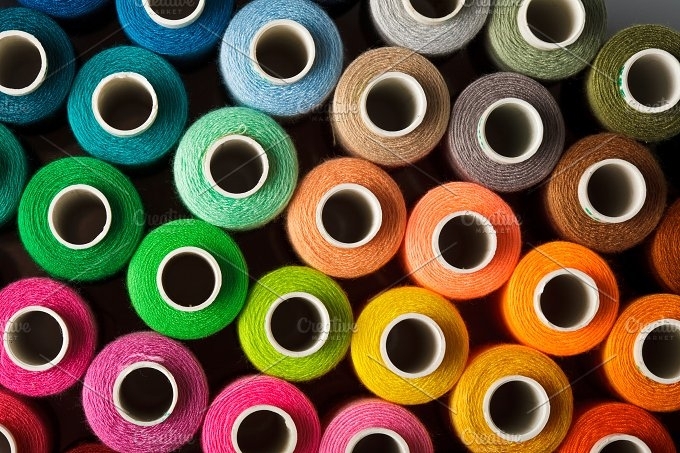 To get you started on picking your desired color, browse below to view on our spectrum of rainbow colors that will be useful in creating your art & craft and design projects. You may also go through our collection of rainbow glittering patterns that will add the fun and festivity in your design execution. Though this color swatch is sans the color green, you still have good receding and advancing color options to use. With lighter shades on its sides and the shadows that create depth underneath each color produces dark shades of each specific color. If you are using Photoshop, the program will not pick up any textures, only the specific color on the picture. This also includes neutral colors such as gray and brown for an extensive color swatch available at your disposal. You could definitely choose mixes and shades of the rainbow color through this textured oil paint. Don’t fret about the textures, they will not be picked up by the software. Color swatches are cardboard squares or strips with varying colors, including its shades and mixes. They are important in interior design as well as in fine arts and graphics. It is strongly encouraged to use color swatches since colors often look different on surfaces, canvases and so on. Let’s dive in the advertising design world for an example. Let’s say a branding agency is to create a brand identity for a client—the logo, tagline, name and so on. The client states that the color present on the branding collateral must be pink. Since there are different shades and tints of pink, the agency could present a color swatch to determine which specific pink must be used. If you are looking for brand identity inspirations and mock-ups you can view on our heap of cosmetic branding mockups that will be helpful for your product application and your design projects. You could also save them for future projects or references. 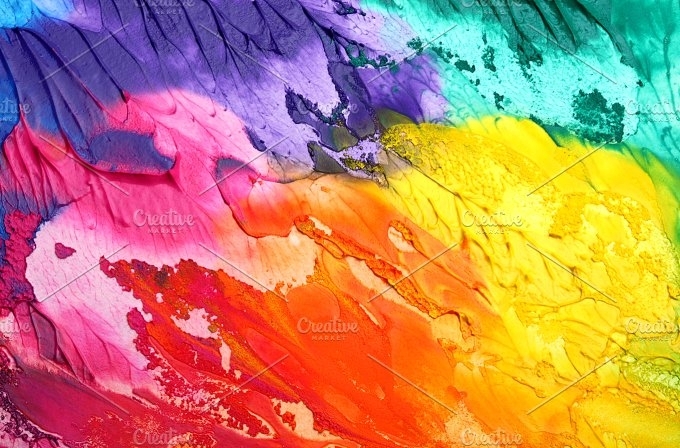 With its gradient and soft blended colors, you have a clearer selection on this rainbow colored picture. This rainbow gradient picture just moved the way a color wheel does. 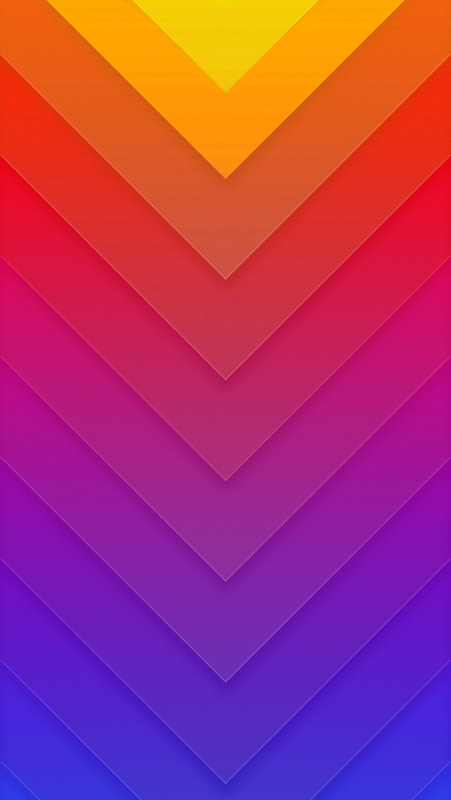 As you may see, the darker shades are close to the borders while the tinted rainbow colors are in the center. For a soft and tinted take on the rainbow, this pattern will be of good use for such preference. It has been desaturated since it does not have any vibrancy but it still serves up some pastel goodness to be added on your design projects. These set of color pencils have strong and vibrant colors and shades since it has been hit by natural lighting. Also, you have plenty of color options here since it has two or three colors of the same color family. You could also use the color swatches found on the software especially in Adobe Illustrator. There is a default color swatch you can visibly see in Illustrator but it is limited to a few colors. Don’t fret, a swatch library is available. You may follow these steps to finding the right color for you. Experiment with the different options available in the swatch libraries since the possibilities are endless in design. 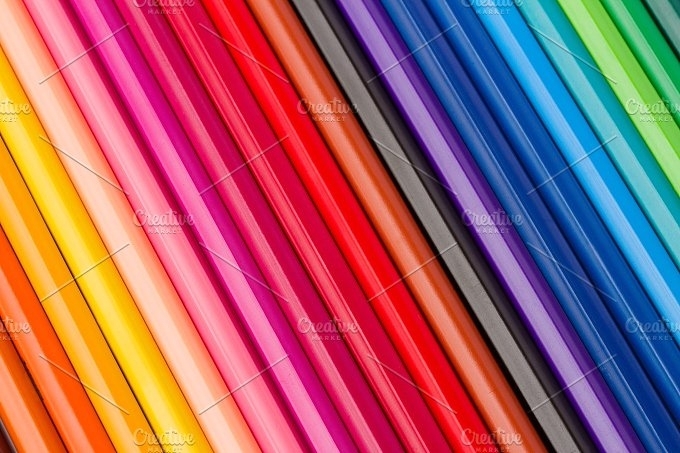 For the following examples here, they are not necessarily color swatches in its strip or square form but you still can use them in picking your desired color in the rainbow. If you are using Photoshop and Illustrator, the trick is using the eye-dropper tool. It picks up the color your want to use and you can save the color afterward. 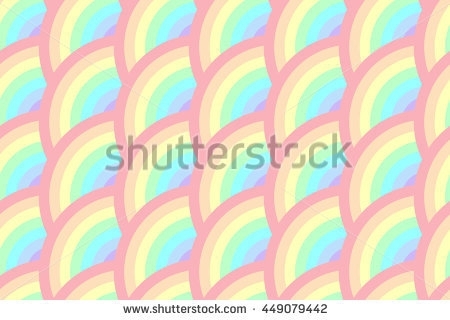 You may use our list of rainbow patterns to add color to your design projects.